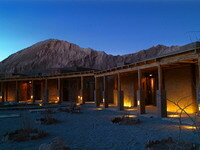 Explora Atacama Hotel, offers packages of 3, 4 or 7 nights. 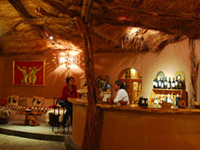 They all include the transfer from Calama, full board including 3 meals from the menu, wine, spirits and soft drinks, and a daily excursion. 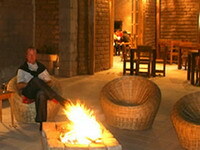 a complete program of excursions to really get to know the desert and its different cultures. Every day, visitors can choose from 8 to 10 different trips, which are chosen depending on climatic conditions, duration and difficulty. By bicycle, horse, on foot or in a van, the excursions are arranged for visitors in normal physical condition (except for the volcano climbs) in groups of no more than 10. They are lead by a bilingual guide and include all necessary equipment. There are 50 luxury rooms with Jacuzzis and living rooms. The facilities include a bar, restaurant, phones with direct national and international dialing, video games room, laser disc and karaoke, library, four interconnected swimming pools, sauna and massage. 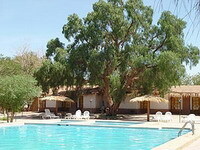 Hotel Awasi. 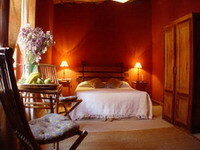 Este hotel de 8 habitaciones, define su estilo con el lema “el arte de hospedar”, intentando privilegiar la importancia de los detalles que marcan la diferencia en el servicio. 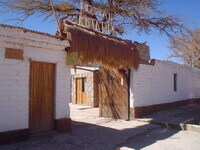 Hotel Awasi se construyo con piedra, adobe y madera. 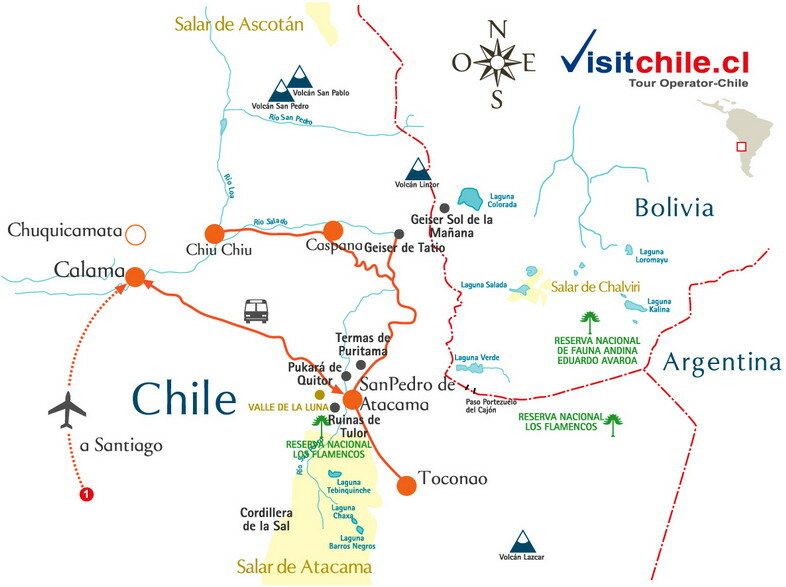 Posee una ubicación privilegiada en el desierto de Atacama; excursiones por algunos de los paisajes más sobrecogedores de Chile. 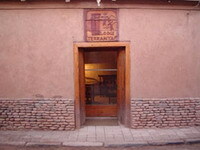 Todo esto en el Hotel Awasi, en San Pedro de Atacama. El lugar se caracteriza por el apego a la naturaleza y por no romper con el maravilloso entorno; duchas con solarium en el exterior, panadería especial con horno de barro, o excursiones a la medida de cada pasajero son parte de la lista de servicios que ofrece este nuevo hotel boutique. La oferta suena tentadora, más si se toma en cuenta que existen programas con todo incluido. 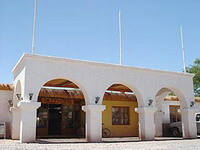 Alto Atacama Hotel, is a Village hotel near the ancient ruins of Pukara de Quitor, distant three kilomtres from the famous oasis town of San Pedro de Atacama. 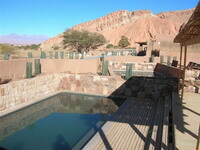 The village enjoys a unique location at the base of the breathtaking Salt Mountains in the beautiful and fertile Katarpe valley Combining raw nature with comfort and convenience, Alto Atacama offers guests the perfect refuge in which to rejuvenate body and soul. 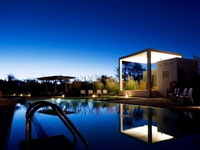 Alto Atacama has 32 suit each with private terrace and fully equipped with mini bar, internet connection, flat screen TV (optional), digital safe, laundry service and direct access to national and international telephone services. 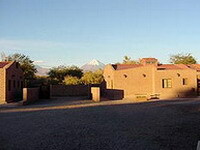 Hotel Terrantai Lodge, offers you an authentic experience of the Atacama Desert in the north of Chile in all its cultural and natural splendor. 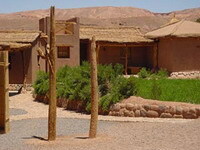 The accommodation of Terrantai Lodge in San Pedro de Atacama is a hotel conceived to honour the spirit of the traditional customs of the Atacama desert while providing the creature comforts modern travelers expect from hotels in San Pedro de Atacama Oasis. swimming pool, hydromassage spa, telephone, mini-bar, laundry service, room service and the outstanding Restaurant Paacha offering cafeteria and bar service as well as excellent international and local cuisine. 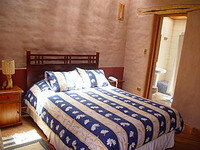 La Casa de Don Tomás Hotel, this comfortable Hotel offers the magic architecture of the region, combined with the total comfort. 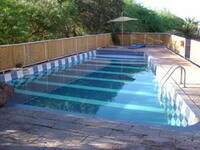 Counts with spacious rooms with private bathrooms and cabins for familiar groups. Here the earth -colors of the world´s driest desert appear like a shimmering mosaic. The shining green of the valley cuts trough the arid landscape, leading to the mountainous terrain, the deep blue sky and an infinity of stars. 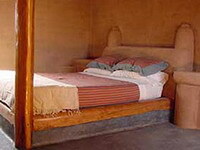 The hotel is decorated with rustic furniture made of willow trees, and features both rooms and cabins. 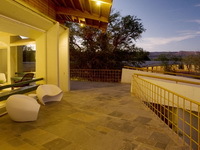 The patio and swimming pool offer an incredible view to the surrounding mountains. 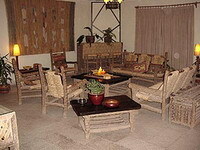 Hotel Altiplanico, All the rooms in our hotel have a terrace facing the Andes on the east. 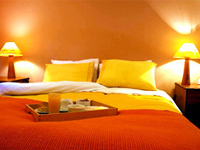 The distribution of the rooms has been carefully planned to maintain the guests' privacy. 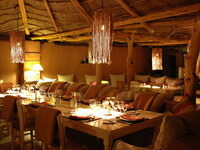 They have been decorated with care, combining native elements from the area and from other parts of the world, which give them a harmonious, unique atmosphere. 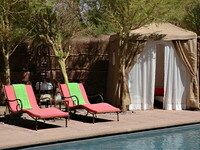 Every room has a private bathroom, hot water, and purified drinking water for consumption by our guests. 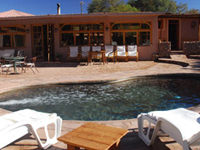 Hosteria San Pedro de Atacama, near the important tourist attractions such as the Church of San pedro de Atacama, The Hosteria offers you gs station located in our permises and natural atmosphere and swimming pool destined to make more pleasant the stay of the tourist. 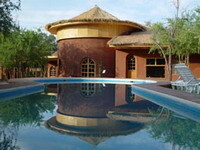 The Hotel Lodge la Aldea, This hotel shows one of the most interesting architectures of the zone. Based on the concept of Ecotourism, it has been constructed completely in sun-dried clay brick (Adobe) without altering the environment. Its decoration is rustic but fine at the same time. 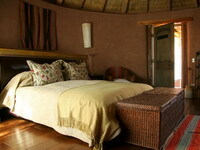 It mixes fine worked chañar beams and straw ceilings with a comfortable and modern furniture. 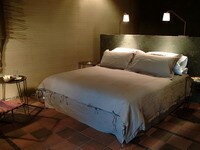 La Aldea offers private bathroom suites, some of them with jacuzzi. There are available cabins for complete familiar groups. 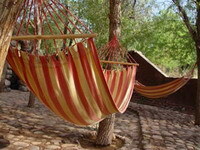 Located by the Solcor Ayllo, La Aldea is one of the most quiet places to take a relax. 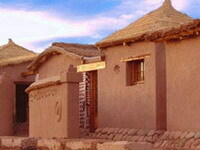 Hotel Tulor ,Inspired by the Tulor village, an archaeological site known for its circular clay structures more than 3000 years old, the Hotel Tulor, located near the center of San Pedro, offers the services of a first class hotel to visitors from around the world. 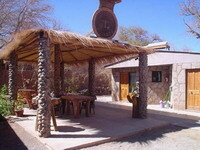 hotel Katarpe,The facilities of the Hotel Katarpe;a San Pedro de Atacama have been designed to provide a quiet rest so that you may enjoy the surrounding environment of the town, Among the principal areas with wich the hostel counts on are:Exclusive parkin for clients. 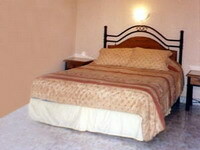 Wide, thoroughly furnished rooms, which include private bath.